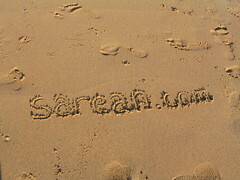 Sarean means on the net in Basque language. My name is Jabi Zabala, I’m a journalist, web editor and amateur photographer. My main interest is communication in its different forms. I’m Basque, so, quite often, I have to explain what a Basque is when I’m abroad. This website is entirely written in Basque language, the oldest European language, which nowadays is a minoritized language spoken by about 550.000 people. If you want more information about the Basque language and culture, you’ll get it at the Center for Basque Studies University of Nevada, Reno and on Buber’s Basque Page. There is an interesting FAQ about the Basques section on late Larry Trask’s page and an extended video clip about the Basque Country on the Basque Culture Institute‘s website. 1. My personal weblog, where I publish some of my current writings, mostly about the Internet, and some of them specifically related to the Basque-speaking community on the Net. There is also some stuff about music, interviews, thoughts and miscellaneous senseless texts. 2. A photolog where I used to put some of my photos before I discovered and joined Flickr. I discontinued this photoblog and started posting my photos to my Flickr account. I’m not Robert Capa, but I take a lot of photos and I think some of them are acceptable. I enjoy looking at them and remembering my travels when I’m not on holidays. 3. An archive of some of my previous writings about the Internet (1997 to 2003). I used to publish them on the Basque-speaking daily newspaper Egunkaria until the Spanish government shut it down (complete report on this in PDF format by Behatokia). After that, I started publishing my texts on a weekly basis in the new Basque daily newspaper Berria, which came to replace the closed Egunkaria. I put them together after the closure of Egunkaria in the hope that it will be useful for Basque-speaking new Internet users. What I do for a living: besides my journalistic writings and blogging, my main job is as a webmaster and editor at the Press and Social Communications Department of Zenbat Gara, a Basque culture association devoted to promote the use of Basque language which runs two theatre and music venues, a radio station and a Basque language academy in Bilbao. You can read a complete report (PDF) about Zenbat Gara in English. I discovered the Internet in the last days of 1996 an I inmediately fell in love with this new, revolutionary media. I was so amazed at the opportunities it offered for social communication. In february 1997, I launched my very first website (it’s still online here), the digital edition of a local Basque-speaking magazine I was publishing at that time. From then on, I published many other websites and started writing about the Internet on the printed press. In november 2000, along with two friends of mine, launched the first Basque Internet radio station, irratia.com, which has evolved into a radio-blog which broadcasts live and then podcasts a weekly radio show on new technologies in our language. Languages: Basque, Spanish, English. No problem with French, Portugese and basic conversation skills in Arabic. I’m good at languages (except for Latin, probably because it’s dead) and music, but there are several things I’m bad at: punctuality and remembering rules of games, among others. I can only do one thing at a time (old CPU) and even this usually requires some concentration. Sarean.com by Jabi Zabala is licensed under a Creative Commons Attribution-Share Alike 3.0 Unported License. You can get in touch with me if you want a more specific permission.